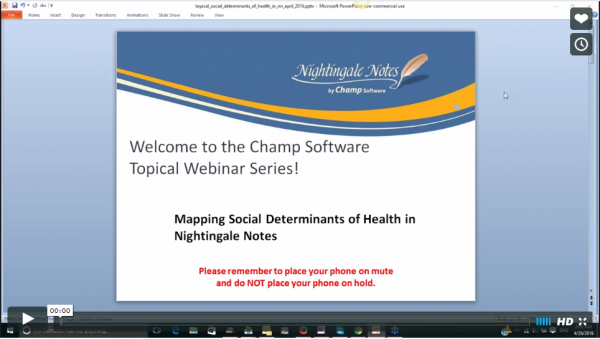 Karen A. Monsen, PhD, RN, FAAN, and Associate Professor at the University of Minnesota School of Nursing, presented at Champ Software’s Expert Webinar this April. 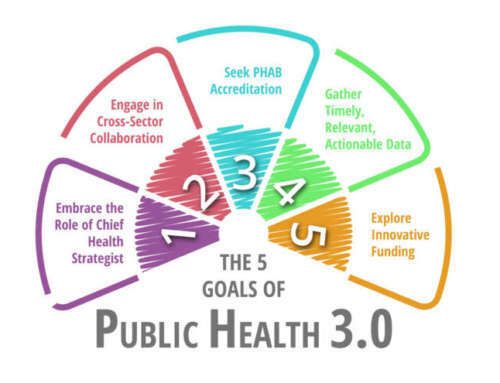 Karen spoke on a topic that has increasingly developed and become more widely adopted over the last several years: social determinants of public health. Nicole Sowers, Champ Software COO introduced Dr. Monsen. “If you happen to have attended the MN eHealth Conference in June of , it was a really popular topic; we heard about it from a lot of people…. Karen has been working with the social determinants of health and working on how we can correlate those to the Omaha System and integrate them into our documentation. I’ll be presenting about the Social Determinants & the Omaha System: Showing our Work & Outcomes. Let’s begin with just some definitions so we’re all on the same page as to what we’re talking about as far as the social determinants of health and how we think about them. I’m going to be framing this like the Institute of Medicine framed it in their 2014 landmark report about how we should include social and behavioral determinants of public health in electronic health records. So, this is from the report; they pulled the definitions of behavioral and social determinants of health from a report from the Office of Behavioral & Social Science Research that was published in 2010. 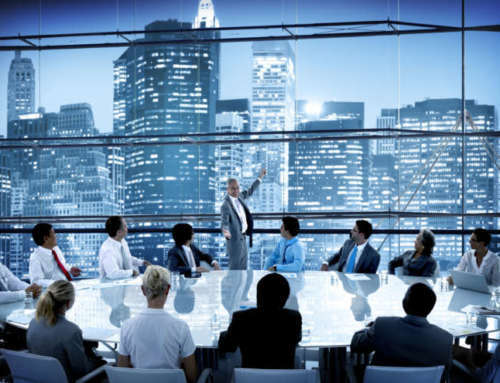 They said, “The term ‘behavioral’ refers to overt actions; to underlying psychological processes such as cognition, emotion, temperament, and motivation; and to bio-behavioral interactions. The term ‘social’ encompasses sociocultural, socioeconomic, and socio-demographic status; biosocial interactions; and the various levels of social context from small groups to complex cultural systems and societal influences,” (Office of Behavioral and Social Science Research, 2010). So really, it’s everything in the world. 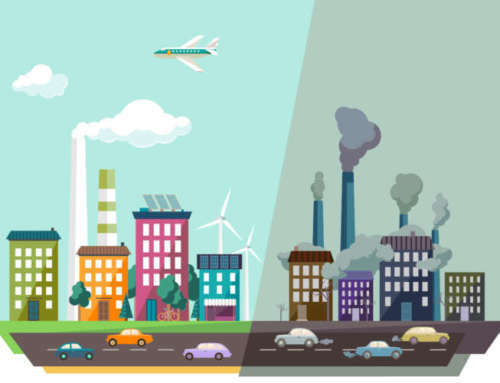 Pulling back a little bit, what really are social determinants of health? Searching for a “behavioral determinants of health” definition was a little harder because no one really steps out and defines that. 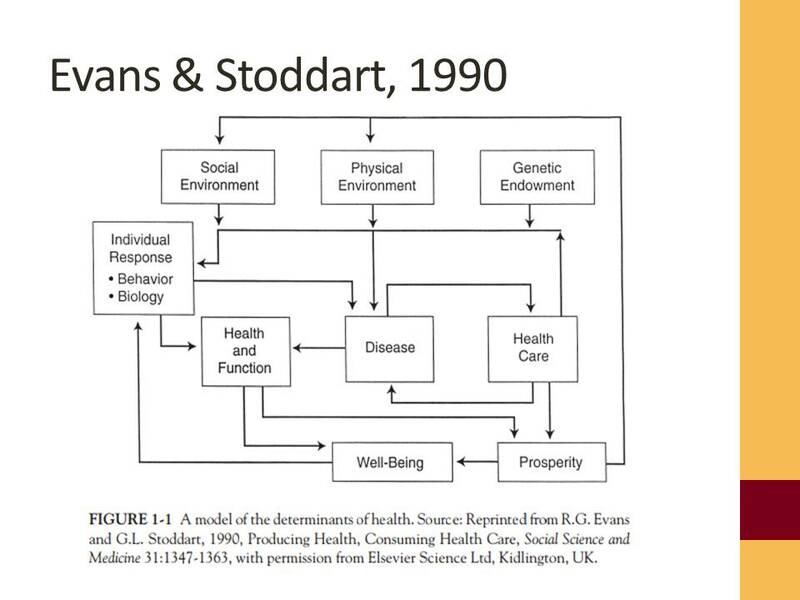 Rather in a conceptual framework, that I’ll show you next, “behavioral determinants of health are not seen as simply individual choice, but rather are defined as individual responses to disease that are shaped by social conditions that influence health,” Evans & Stoddart, 1990). Here’s the model [below]. This comes from a 1990s publication by Evans & Stoddart. They are trying to put together all these social and behavioral determinants and show how they relate to disease and well-being. [You see] disease at the center and it goes around: healthcare is influencing health and functioning, which is influencing well-being. As you can see, all of these things inter-relate. Now we’ll leap to a familiar [figure] that many of you may have seen before, a picture of how the Omaha System thinks about this. We have all of health and disease described here in the Problems concept, health being the physiological domain, but then we have the psychosocial domain and the environmental domain and the health-related behaviors domain that influence health function and disease. Well healthcare is here too in the Omaha System Intervention Scheme, and healthcare is also in the Evans and Stoddard model. They are both basically saying the same thing in a little different ways. Building on that shared understanding that we believe the social determinants of health actually influence our physiology and our response to any disease processes and our well-being, leap forward then from that to a request that came to our School of Nursing from the Minnesota Department of Health. The Minnesota Department of Health asked our Population Health Informatics students if they would study electronic health records (EHRs) to find out how social determinants of health are documented. This was right during that landmark year, 2014, when the Institute of Medicine (IOM) was actively investigating this question. We know from the Meaningful Use and Accountable Care movements that the Office of the National Coordinator (ONC), together with our government, believed that EHRs are a promising new source of population health data and that having such data may improve our understanding of population health outcomes as well as individual health outcomes. So the contribution of social and behavioral health determinants of health (SBDH) is known, but SBDH may not be documented in EHRs. The IOM study in 2014 recommended that core SBDH items should be incorporated within EHRs. And these two studies were released from the IOM Phase 1 and Phase 2 of the Social Determinants of Health Study. This study was done by our three graduate students, Nicole Kapinos, BSN, RN; Joyce M. Rudenick, MA, BSN, RN; Kathryn Warmbold, BSN, RN; and myself. I was faculty for the project. An interesting element showed up as we began to study this in general. We looked for electronic health records that would be able to show different parts of the spectrum of care, so we looked across the entire spectrum of care searching for electronic health records that could help us with this question. Also, we were very aware, being informatics junkies, that national recommendations from the ONC are to use standardized terminologies in EHRs in order to ensure shared understanding and interoperability of the data. We had this background in informatics that helped us understand how standardized terminologies and standardized nursing terminologies in particular, are a potential source of SBDH data in EHRs. The purpose of the study was informed by this gap: little is known about the extent to which SBDH are currently documented in EHRs, including how SBDH are documented and by whom. Really we were looking for any clinical terminology that was used in any of these EHRs. The first step in this study was to review the literature to try to find out what really are the social and behavioral determinants that are being sought out, so that we could make sure we looked for everything we could within the EHR. Then once we had the list, there were 107 items we found in the literature. Building on that, we did key informant interviews of a convenient sample of nine EHRs. Six were from acute or ambulatory care and three were from community care. We were looking for documentation type and method, the documenter role, and the EHR screen placement. We found that the 107 SBDH items were documented using a number of methods: free text, structured text, clinical terminologies, and sometimes it was just unknown whether they were documented or not. These items were documented in diverse screens and by multiple clinicians, admitting personnel, and other staff. When we looked at the terminologies used to document the SBDH in the nine EHRs, they were documented using one of three standardized terminologies: ICD-9/10, SNOMED CT, and the Omaha System. When we looked at the average [number of items documented in each standardized terminology], one was documented using ICD-9/10, one was documented using SNOMED CT, and the Omaha System was used to document up to 92; I think the average was 79. Most often, clinical terminology data was documented by nurses or other clinical staff, not receptionists or other non-clinical personnel. We found this to be a really compelling finding. The nurses were an important contributor to the knowledge base for social and behavioral determinants. These kinds of questions-the sensitive questions about racism, sexuality, abuse, violence, things that determine health but are sensitive in nature– maybe should be asked by an accomplished professional rather than, perhaps, an admitting clerk. Another interesting finding was that a lot of the time for the acute and ambulatory care records, people just didn’t know if those 107 items were documented or not. Whereas in EHRs that have the Omaha System, there were much fewer unknowns among the respondents. This led us to the second phase of the study which was to look at how SBDH could be mapped to the Omaha System or were found in the Omaha System. We found that of those 107 SBDH items, they were mapped to 21 Omaha System problems in four domains. 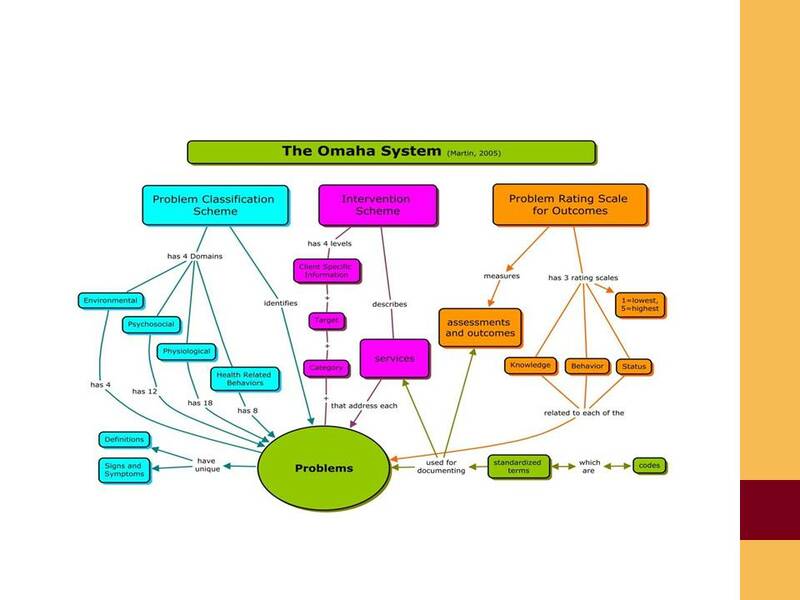 We were seeing then that the final 12 IOM-recommended SBDH items actually mapped to six problems from the Omaha System. This study really helped us understand the important role of the Omaha System, the contribution it makes to generating useful and retrievable and interoperable data about SBDH. Understanding and managing SBDH, and all patient information, is critical for high quality health care and improving population health. We found in the study that the nursing expertise of understanding terminology and using terminology and interviewing patients and recording data, all of that expertise may be leveraged in assessing and communicating all aspects of patient health and well-being using standardized terminologies. We also concluded that software programs for these nine different EHRs were eight different software programs. The ones that were based on nursing terminologies or the Omaha System were much better at describing a comprehensive, holistic view of health compared to conventional software. It was rather clear that EHRs based on the Omaha System were used in community care settings, and we have to think about the fact that the data needed for care in community is really much more integrated into social settings and maybe more interested in risk behaviors or behaviors in general. That may differ from data that is needed in inpatient settings. That may be one reason that we see more emphasis on using the Omaha System in community care settings. We also need to think about the IOM approach to documenting SBDH, because the IOM really suggested that we be using measures and not terminologies. There is this inherent conflict or definitional challenge that exists between using a measure, like HARK questions when you ask someone if they’ve been abused using a standardized set of questions, versus documenting in a record in which you are checking a box. The box-checking method is called “classification” or sorting things out. 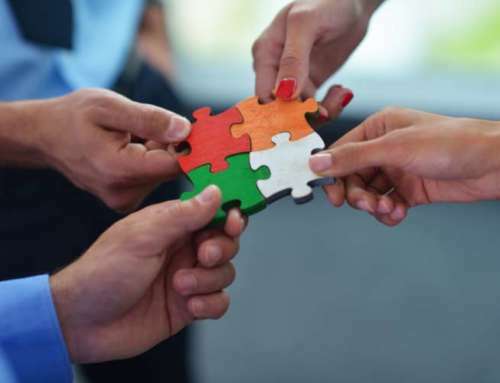 The measurement is about using a structured process that has been tested and evaluated and found to be valid and has potential to be used reliably. The IOM actually said we need to define measures that can be incorporated into all EHRs, while on the other hand our national government is saying you should use standardized terminology in all EHRs and this inherent conflict exists between these two methods. SBDH documentation in EHRs differed vastly based on the presence of the Omaha System. The Omaha System enabled a more comprehensive, holistic assessment and documentation of interoperable SBDH data. Further research is needed to determine SBDH data elements that are needed across settings (between acute care, ambulatory care, community care), the uses of SBDH data in practice, and to examine patient perspectives related to SBDH assessments. I’d just like to acknowledge that this study was completed through the University of Minnesota School of Nursing Doctor of Nursing Practice program. Our students and faculty completed this at the request of the Minnesota eHealth Initiative, Minnesota Department of Health, and it was done through the University of Minnesota Center for Nursing Informatics. 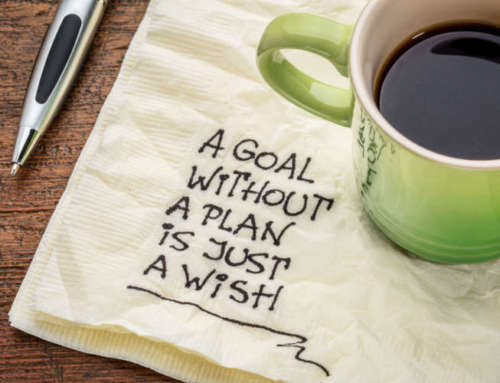 To download Dr. Monsen’s presentation slides and hear a recording of her full presentation, including Part 3: Harmonizing IOM-Recommended Instruments & the Omaha System and Part 4: Care Plans & KBS, you may do so by clicking below.